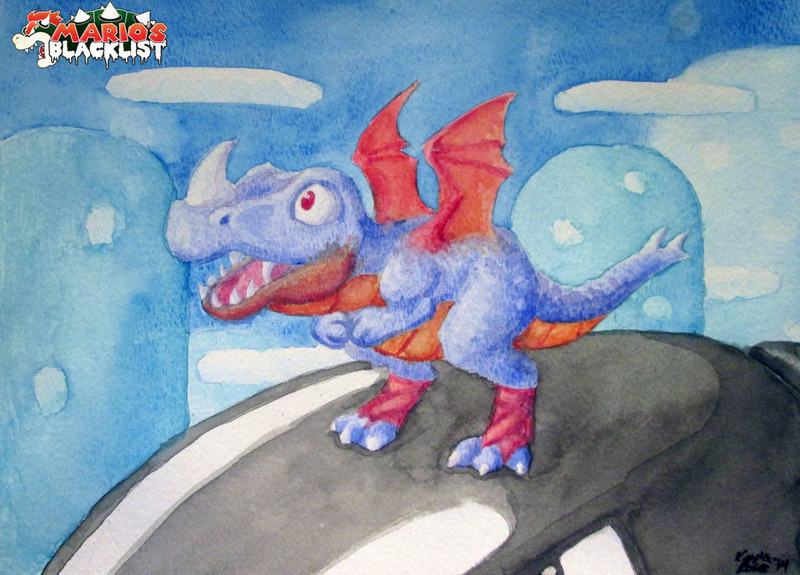 “The Rex is a goofy little dragon that is one of the first enemies you meet in SMW, one of the first games I played as a little kid. With this painting, I attempt to portray the little guy a little more anatomically correct. The Rex is an enemy which debuted in Super Mario World’s first stage and is rarely seen again in the game and the Mario series in general. 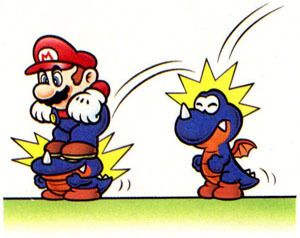 These little T-Rex similar guys are easy to defeat and are not attacking Mario beside running into his direction most of the time. It needs to normal jumps though to defeat them as they just shrink after one jump and can run a bit faster than before. Its also possible to defeat them with a fireball or to let Yoshi swallow them. They are among my favourite enemies in the Mario games, hope to see them back sooner or later in a new big Mario title.